Doggy Bag wouldn't be here today if it weren't for Max. Max came to us with a flurry of issues: skin problems, hot spots, paw licking, ear scratching, large stools and stinky breath. His hair got into absolutely everything. Thinking that his living environment could be causing these symptoms, we changed everything we could possibly think of: washing liquid, floor cleaner, keeping him indoors, leaving him outdoors, avoiding grass, even putting him on medication. Nothing led to any improvements. After eliminating the environment as a possible trigger, we then decided to focus on his diet. It had never occurred to us that food could be the culprit behind Max's condition. We really just blindly trusted what dog food companies had to offer our canine companions, because we thought they would know best. 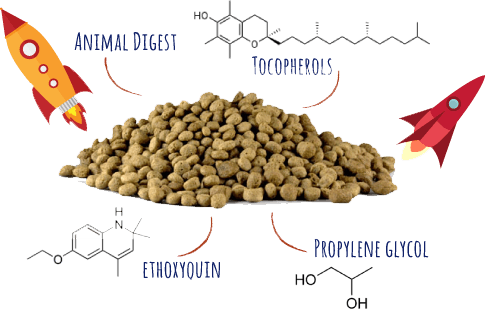 It wasn't until we started reading up on dog food and learning about the dog food industry that we understood what exactly was going into our dog’s meal. After doing plenty of research on dog food ingredients, we immediately switched to home cooking Max's food. It took just 3 weeks for him to make a complete turn around. Who knew that the ultimate trigger would be processed dog food! This experience changed our lives and most importantly, it changed Max’s life for the better. Since then, we have dedicated ourselves to making fresh food for dogs, using wholesome ingredients fit for human consumption. 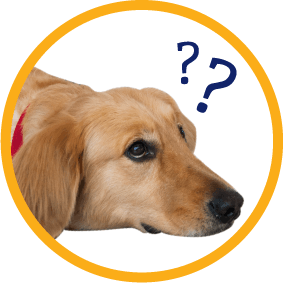 But in order to make sure we knew our client inside and out, we signed up to a world leader in animal education and certified ourselves in Canine Nutrition. The knowledge we gained helped us create the recipes for our flavors. On top of that, we try to use as many local products as possible and work closely with a Canine Nutrition consultancy in the USA, to make sure that Doggy Bag meets the standards of the AAFCO (more so with the nutrition coming from the actual food itself, instead of being fortified with vitamins or minerals). Our stoves fired up in late 2011 and with Max at the helm as Lead Tasting Officer, we went fresh and never looked back. Sad to say, Max passed away from very aggressive liver cancer in 2016. He fought the good fight until he crossed over the rainbow bridge. But in honor of him, what he taught us and how he changed our lives, Doggy Bag will continue to cook fresh meals using wholesome ingredients, for the betterment of all our fur friends. It's what Max would have wanted. At Doggy Bag we believe in the freshest, healthiest food for our canine companions. If good health in humans begins with good nutrition, why should it be any different for your dog? Our recipes are balanced according to the standards of the American Association of Animal Feed Control (AAFCO). For your dogs, that means the best nutrition in every bite. For you, that means no more worries nipping at your heels! Every Doggy Bag is made fresh, from fresh ingredients. We don’t store old food or bury anything in the garden, and our stoves get cooking only when your orders come in. NO mystery ingredients you wouldn't eat yourself! Doggy Bag dog food contains only the freshest, whole natural ingredients that you can see and recognise right out of the pack: chunks of delicious meats and organ meats for maximum flavor and nutrition, fresh, crisp veggies, wholesome eggs, brown rice, and other tasty treats! We use NO preservatives, NO flavoring, NO artificial coloring, and NO mystery ingredients you wouldn't eat yourself. To put it simply, our motto is: IF WE CAN'T SPELL IT, WE WON'T SELL IT! Our food is so good, in fact, humans might get a bit jealous...and we’re not even a little bit sorry. New to Doggy Bag? Request a Starter Pack now!